Every song I post is a song I want you to hear, and this new single from NYC band ARMS (“Keep It Light”) is no exception. The song comes from the upcoming LP Patterns and according to singer/songwriter Todd Goldstein is “an open letter to the voices in my head that delight in telling me to tone it down, to rein it in, to not frighten or disturb anyone with my behaviors or feelings“. Take a spin and “Keep It Light”. Check out the latest from indie rock outfit ARMS with the spirited new single “Comfort”. 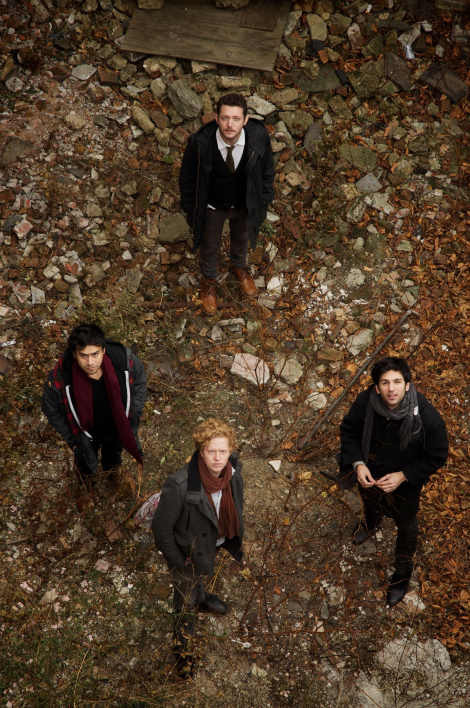 The song comes with the announcement of a new EP (EP2, due out 9/10 via Paper Garden Records), following the bands’ 2011 full-length Summer Skills. Take a listen to the EP’s opening track and leadoff single below. “Heat & Hot Water” by ARMS, from the album Summer Skills. ARMS – Heat & Hot Water from Andrew Droz Palermo on Vimeo. I’ve rediscovered this track “Heat & Hot Water” from Brooklyn artist Arms. A one-time side project transformed into a full band, Todd Goldstein’s years of bedroom experimentation will come together in Summer Skills, the upcoming release due November 8th.